Ze Frank started a competition called Young Me Now Me. 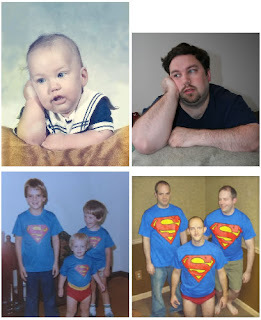 What you do is that you submit photos of you in the present imitating yourself in an old childhood photograph. You can see the gallery of submissions here. More information can be found at Young Me Now Me.